This is quite a treat, especially for those people who don’t have a boat of their own. My husband and I have taken cruises on this boat a few times and it’s a lot of fun. 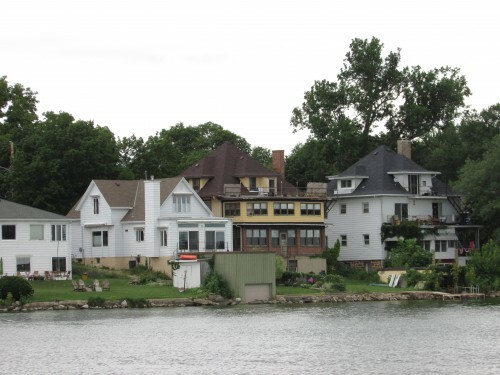 Betty Lou Cruises began in 1998, offering guests a new way to see Madison. My most recent voyage was on July 27. 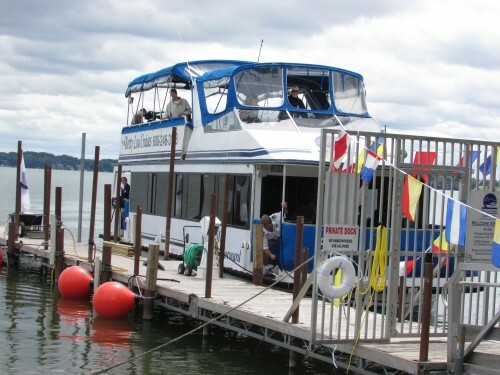 The Clean Lake Festival offered free cruises on a first-come, first-serve basis. The boat was in Lake Monona, we were welcomed aboard and settled in our seats. I went to the stern for the best views. We got under way, the captain gave a running commentary on what we were seeing. Our first views were of lake houses, a view you usually don’t see, from the back. 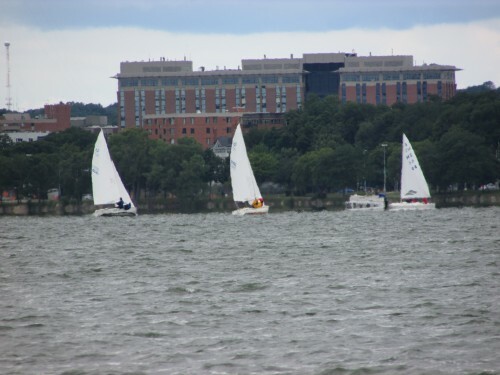 We also saw a sailboat regatta, a weekly occurence in the summer. 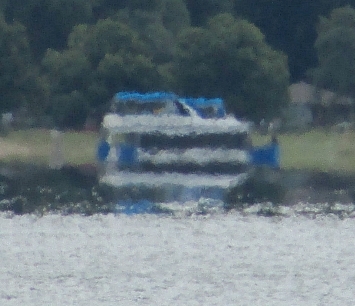 It was a rather cold day for July (62 F) and I witnessed and Inferior Mirage of another Betty Lou Cruise boat across the lake. The result was an upside-down image of the boat under the real one. The air was colder than the water. 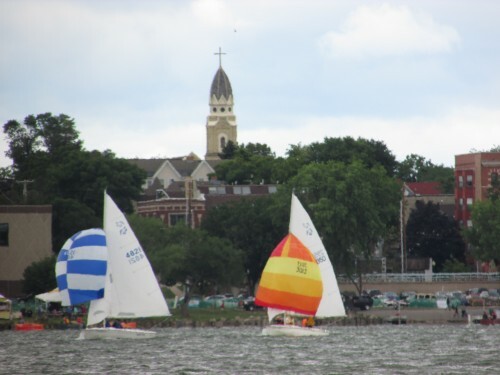 As we headed towards the Monona Terrace, we got a breathtaking view of Madison’s skyline and more sailboats. 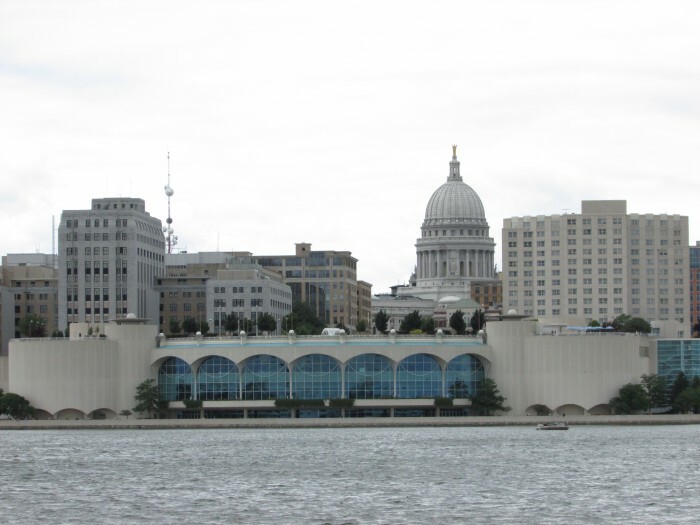 And here is the Monona Terrace! From here we headed back to port, what a great ride! 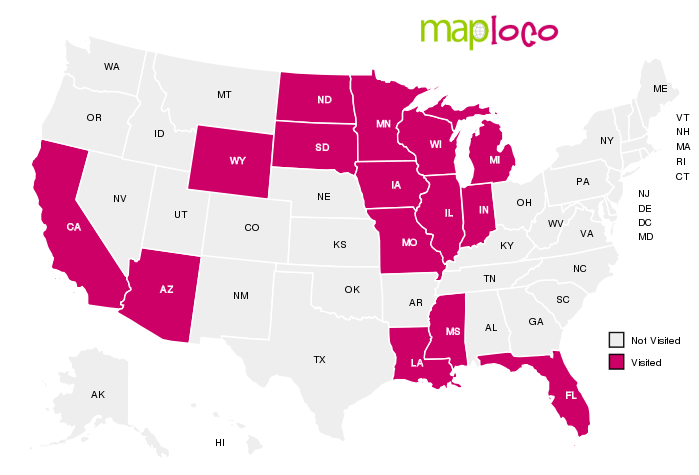 It’s not too late to take a cruise, they run through October. Come take a ride in style!